Plastic adrift in the ocean has become a big issue, and a 12-year-old is actually doing something about it. 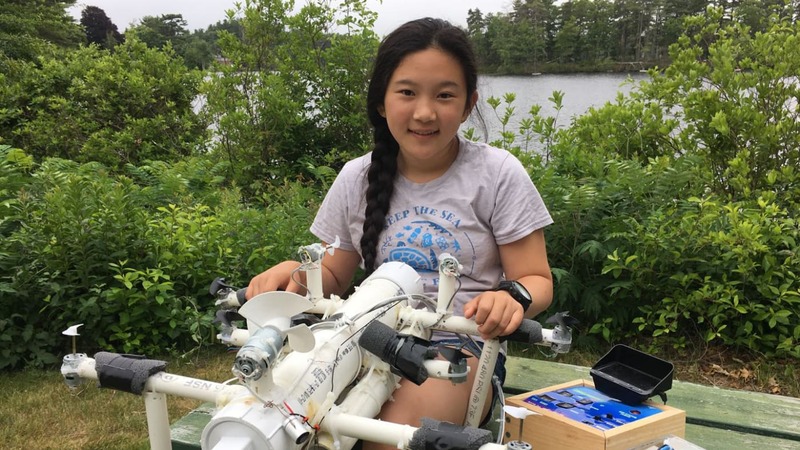 Anna Du, a sixth-grader from Andover, Massachusetts, hopes to help the effort with a device of her own: a robot that can move through the ocean identifying plastic, and that could eventually collect it as well. Du realized that identifying the location of plastic in the ocean was an important step, and took inspiration from recycling companies that use infrared light to identify and sort plastics. Her new underwater ROV also uses infrared to identify plastic, in a novel system she designed to keep costs low. “I hope to be able to spatially map where microplastics are accumulating,” she says. She also wants to later create a machine that can capture and remove the plastic it finds, aiming to make “the most efficient machine cleaning up plastics.” Du is six years younger than Boyan Slat was when he talked about a similar goal; Slat’s Ocean Cleanup machine recently completed a test off the coast of San Francisco and is preparing to sail to the Great Pacific Garbage Patch this summer. When I was 12 I was trying to figure out how sticks work.